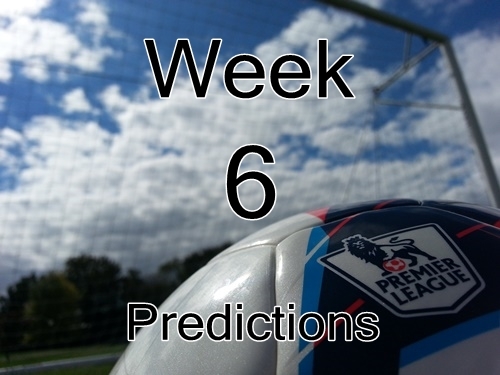 This weekend the Premier League kicks off match week 6 and features another set of great games full of excitement. In fact, the weekend starts off with the Merseyside Derby featuring Liverpool v Everton in the early kickoff. This is a much watch match this weekend and is certain to feature goals considering both teams recent form. I would encourage all the fans based in America to make sure you are up bright and early for this one with a 7:45am (ET) kickoff on NBC Sports Network. The late kickoff on Saturday can also been seen on NBC Sports Network at 12:30pm and is the hotly contested North London Derby between Arsenal v Tottenham; Red vs Blue. Elsewhere, Chelsea should come away winners, but Aston Villa should certainly not be underestimated and could make it difficult. I’m also picking Leicester City to build on last week’s 5-3 win with another win, although, Crystal Palace have been on a good run recently as well. Manchester United should be able to win against West Ham, but their defensive frailties mean that a match at Old Trafford is no longer a guaranteed win.